Audison renews the legendary SRx line and amazes, again. 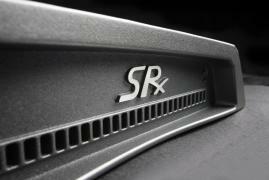 The new SRx satisfies the desire for both power and cosmetics, being ideal for the enthusiasts who want to enter into the world of car audio through an amplifier of excellence. Six models made to perfectly balance size, versatility, power and sound quality: all of this ensuring quality and finish, in the tradition of the Audison „Made in Italy“. Its design develops around the concept of total aluminium and the SRx confirms to be the „youngest“, coolest amplifier of the Audison brand. The plus points of the aluminium can be measured not only in terms of cosmetics, but also of performance: in fact, its capability of resistance and dissipation have now increased. From the original line the new SRx inherits the extreme versatility, allowing to drive whatever speakers. More specifically, the SRx 1D can boast the „Amp Chain Mode“ advanced feature, providing the ability of a „cascade“ configuration of connection of many amplifiers granting the possibility of using only the controls of the first amplifier (the „master“) to drive the whole group. Following the tradition of Audison, the controls of the new SRx are found along the top panel. Operating modes, sensitivity adjustments and crossover controls are entirely independent, by-passable and configurable. The proprietary DYNAB (Dynamic AB) Class circuitry merges the power of the B Class amplifier with the efficiency of an AB Class amplifier: the best possible linear voltage to the advantage of sound quality. Audison created a new SRx which, still keeping the spirit of the original line, is a highly innovative product offering unheard of solutions both from a technical and design standpoint.